We are an athletic family. My husband and I both played sports in high school, stayed active in college and continue to lead a fit life. For a short period of time after I had Joshua I became serious about running. I wrote in a daily running journal, trained hard and focused on a PR (a Personal Record, or your best time in a race of a specific distance) and every local 5K race I ran my goal was to place in my age group. I wasn't the fastest runner, but I placed in my age group in several races and I'm happy with my personal record, even though it is from a few years ago. I still run but I don't run competitively anymore. Three kids, a hectic schedule, a new dog and cooking for my son's special dietary needs will do that. But honestly, I don't mind at all. I am still athletic and work out weekly. In addition to running, I participate in a spinning class twice a week and I've taken to lifting heavy weights and challenging my muscles. I never thought I would be into lifting, but I have seen great results (when I stick with it) and feel amazing. I also incorporate a few yoga sessions at home and attend hot yoga once a week. By now you know my passion for clean eating and you know that I firmly believe it leads to a healthy life, but exercise is equally important! Clean eating and active living are essential ingredients for a healthy body and a healthy mind. When Red Ace reached out to me about sampling their beet juice, I had a feeling it would be a perfect fit. In fact, they had me at "organic beet juice." As a superfood, beets are high in immune-boosting vitamin C, fiber, B vitamin folate and essential minerals like potassium. And, beets are a unique source of betaine, a nutrient that helps protects cells, proteins, and enzymes from environmental stress. 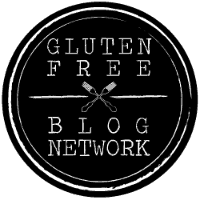 Since this superfood is also know to help fight inflammation, I try to include it in our weekly meals to prevent and combat any inflammation my son may be experiencing with his Crohn's disease. As an athletic family, I found it interesting the latest sports science research has shown that achieving better performance can be as simple as adding nitrates, like the ones found in beets. 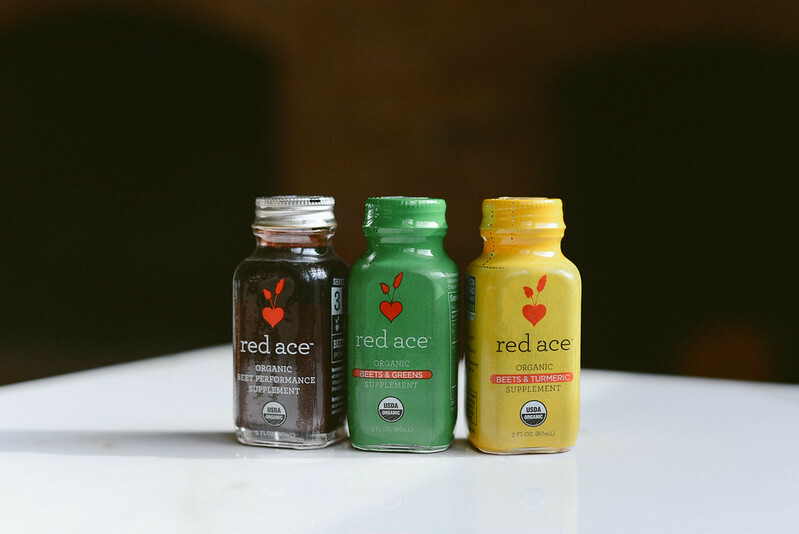 Made from 100% USDA organic beets, Red Ace beet shots provide you with clean, long lasting energy. 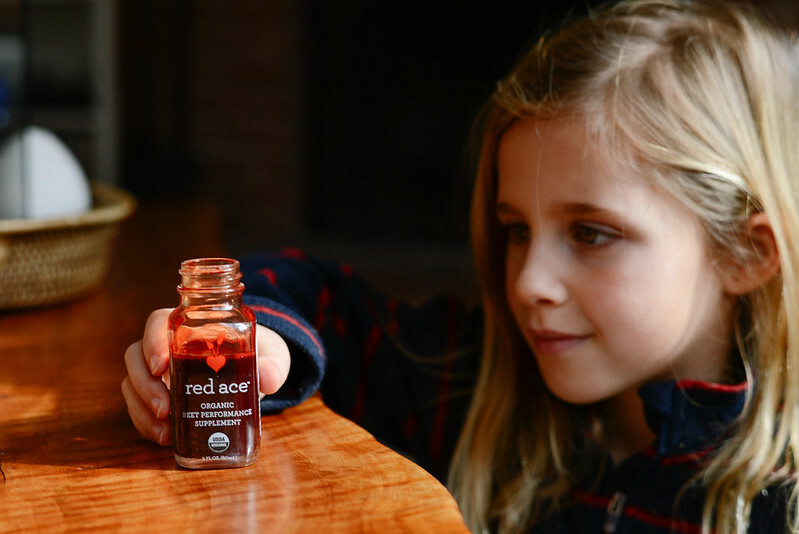 Each two-ounce glass bottle of Red Ace contains three organic beets, making it extremely high in natural nitrates, and a quick and easy way to acquire all the performance, health and nutritional benefits of the superfood. 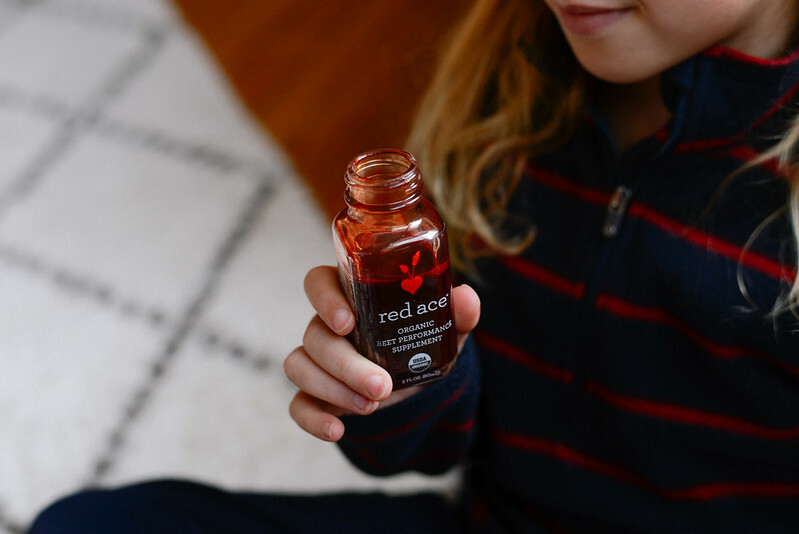 With only 100% organic beet juice concentrate, organic lemon juice and organic flavors, Red Ace offers one of the most delicious and refreshing options on the market. Drinking just one two-ounce bottle of Red Ace daily increases stamina, improves circulation, and supports cardiovascular wellness. Exactly what I need, especially as a mother of three, to keep me going through my cycling and running and long days. In addition to the beet performance supplements, Red Ace also makes a beets and turmeric and beets and greens supplement. During long soccer tournaments, I bring a beets and turmeric shot so my son can have a boost of energy while benefiting from the anti-inflammatory properties of turmeric. So as you can see, even the little ones enjoy the taste! 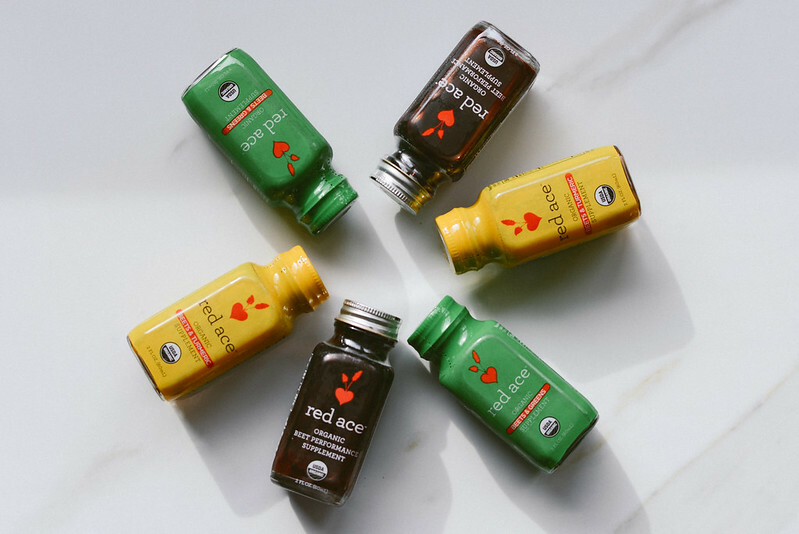 If you're an athlete, an active mom or even just looking to get a bit healthier, then Red Ace organic juice may be a great fit for you! *While this post is in partnership with Red Ace, all opinions are my own. 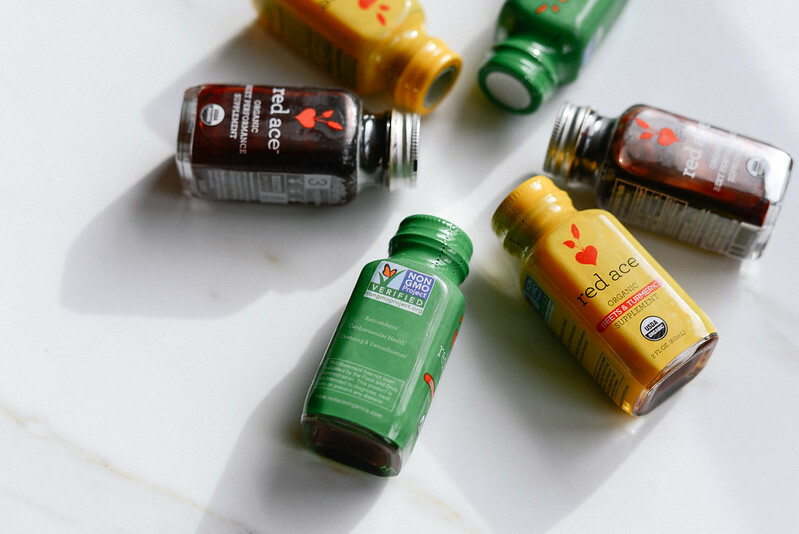 This beet juice is serious goodness in a little bottle with big benefits. I'll have to try some!!! They all look so refreshing.